The Simon Jacobsen Residence sits on the historic streets of Georgetown in Washington, D.C. The now single family home was originally two houses, both built in 1863 and joined together. Distinctive features of the 4-bedroom residence include a large gallery space with white painted floors on the main level, a new library, an extended kitchen with an unusual amount of counter space and a small theater. The rear of the house was removed for new floor-to-ceiling custom windows that have glass railings that are nearly invisible to the eye. 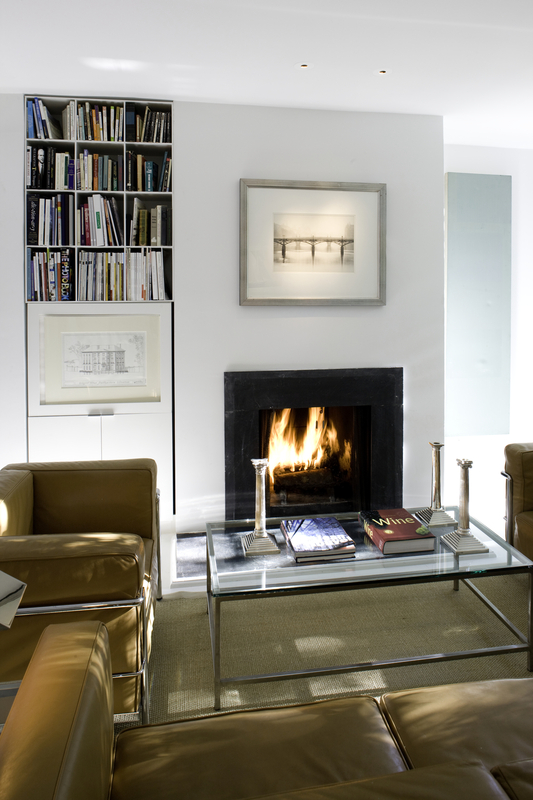 Using light, white, and open defined space, the quintessence of Jacobsen design, the architect finally had the chance to apply these principles in his own home pulling this piece of history into the 21st century. Published: Architectural Digest, Modern Luxury, Capital File, CASA Vogue, VD Magazine (South America); Washingtonian Magazine and the Washington Chapter of The American Institute of Architects. Architectural Photography: Robert C. Lautman.